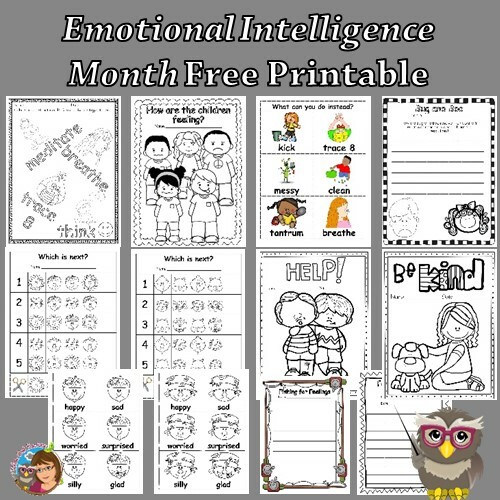 This post is for Emotional Intelligence Awareness Month which is during October, and has a free printable on that topic. 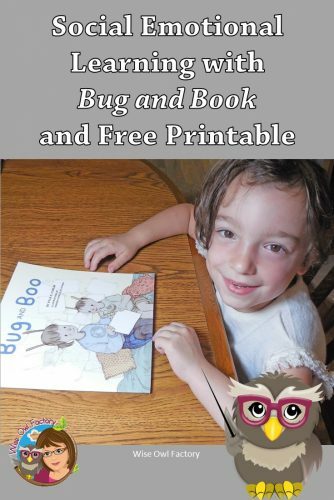 Kyle Carlin is a school psychologist and the author of Bug and Boo, a children’s book that helps teach social emotional skills. 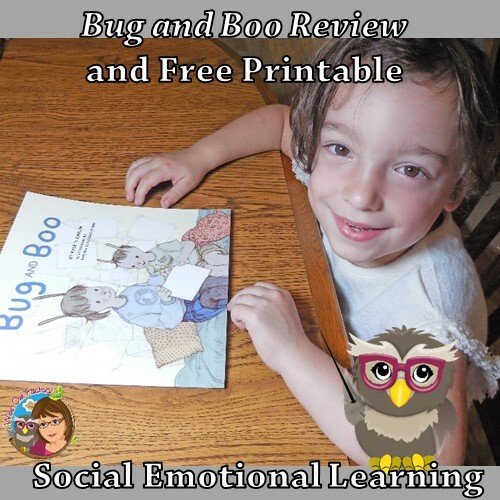 This month there is a virtual book tour of Bug and Boo to coincide with Emotional Intelligence Awareness Month. Carlin is also working on a local project for suicide prevention week. You find more information about Carlin and Bug and Boo at www.schoolsyke.com. *Note: I purchased my own Kindle copy, and received a free paperback in exchange for my honest opinion and to write this post. It is good when authors and bloggers work together to help kids develop important social emotional skills. My printable would work for other children’s picture books on this topic, as well as this one. In the story, a brother and sister have a conflict and resolve it to everyone’s satisfaction without adult intervention. This is an important skill for children to learn. First, they could try to solve their own issue, and later ask an adult for help. The older child is wise and reconsiders an earlier decision, another important social-emotional skill to learn. Also, a character uses deep breathing to calm down, which many children have yet to learn! This book is instructive and yet shares a story to help engage children in the learning. 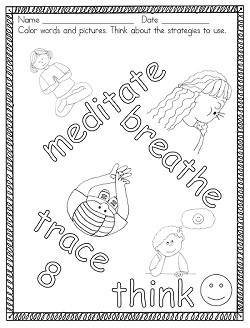 My printable mentions a few strategies for calming down, also, such as on this coloring page. 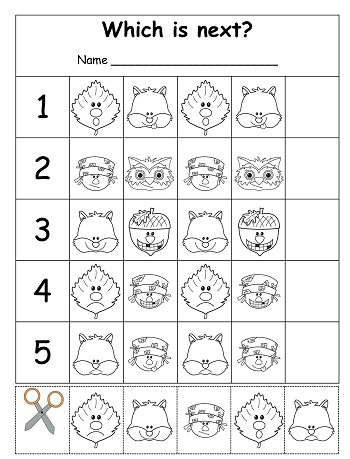 There are two math patterning activity pages for children using art showing emotions. Many children can benefit from learning to recognize their own emotions, as well as those of other people. 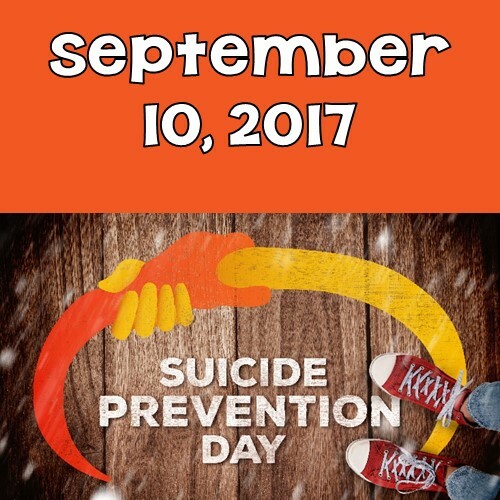 You might also like the informational post regarding suicide prevention time in September of each year.